This entry was posted in Newspaper. Bookmark the permalink. 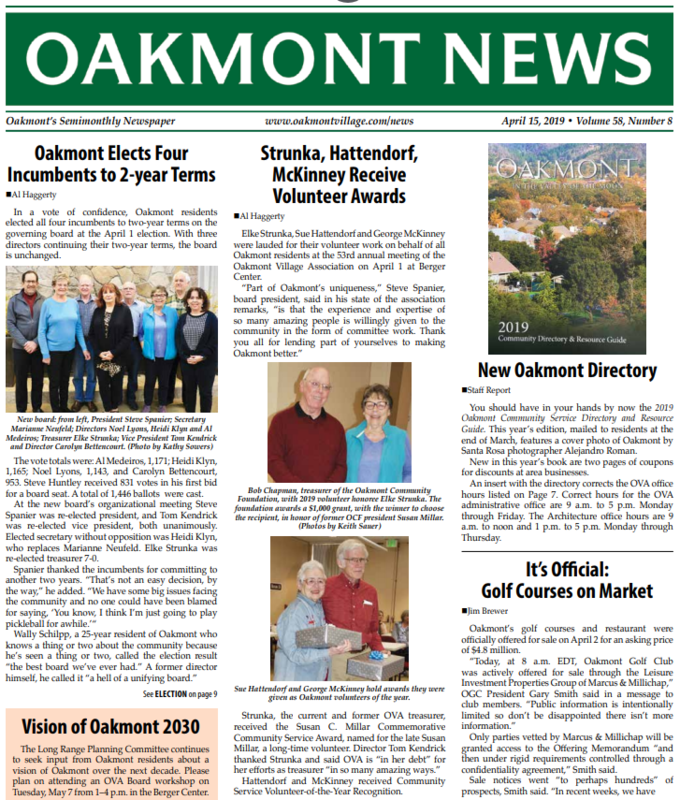 Our apologies for the discrepancy in how different years of the Oakmont Newspaper are archived, they will all be archived in the same format soon.